211 Bernard: McSweeney's McMullens ...McCool! 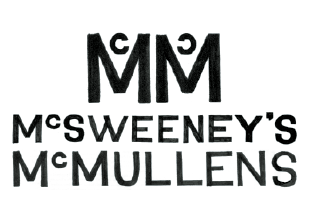 Juggernaut of good things, McSweeney's has launched a new children's book imprint called McSweeney's McMullens! This one's about the music a young girl encounters throughout the day while lost in the city. Amazing use of colour and the great little story makes it a keeper. Also, the dust-jacket folds out into a cool poster! This one's a reprint of the 1989 English and Russian language classic. It's a Chicken Little-esque tale that ends with a delightful and delicious twist. Three hardbound books with nothing in 'em. Ready for a budding little artist to fill and decorate. No promise that McSweeney's McMullens will publish what they've done, but, personally, I think they will. And of course, this sweetheart of a book. Here's Sheila herself, reading it in the store, last Sunday. A great start for a new imprint, to be sure and there's more great stuff to come, I can assure you!